HUMAN RIGHTS COUNCIL 40th session CETIM calls on the Nigerian and Dutch authorities to honour their international commitments in the field of human and labour rights. 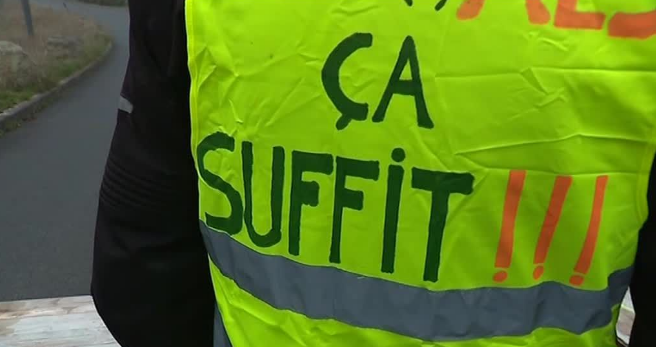 HUMAN RIGHTS COUNCIL 40th session Alarmed by the fierce repression against the movement of “yellow vests”, the CETIM referred the matter to the UN Human Rights Council. The adoption by the United Nations General Assembly of a Declaration on the Rights of Peasants and People Working in Rural Areas is not only a historic giant step forward in protecting the hundreds of millions of producers of our food. The Declaration on the rights of peasants and other people working in rural areas was adopted by the UN General Assembly in New York. 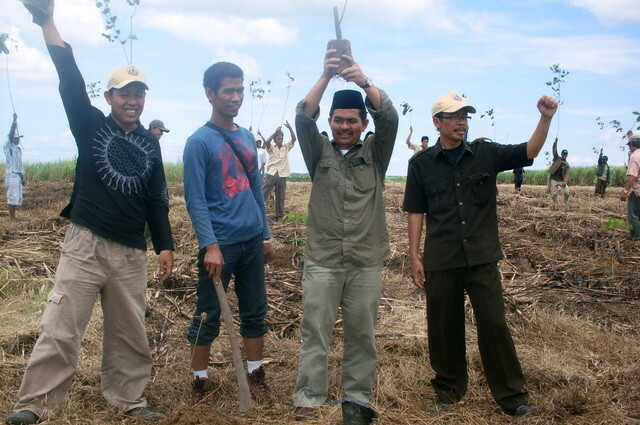 An idea that sprang from an Indonesian farmers’ union can go far… right up to the adoption of an international instrument at the United Nations. Transnational corporations (TNCs) commit crimes, violate human rights and destroy the environment with complete impunity in the Global South. These business enterprises are able to evade national jurisdictions because of their transnational character and unprecedented economic power. Only binding norms at the international level can end TNCs' impunity. Support our campaign at the United Nations ! For a United Nations Declaration ! 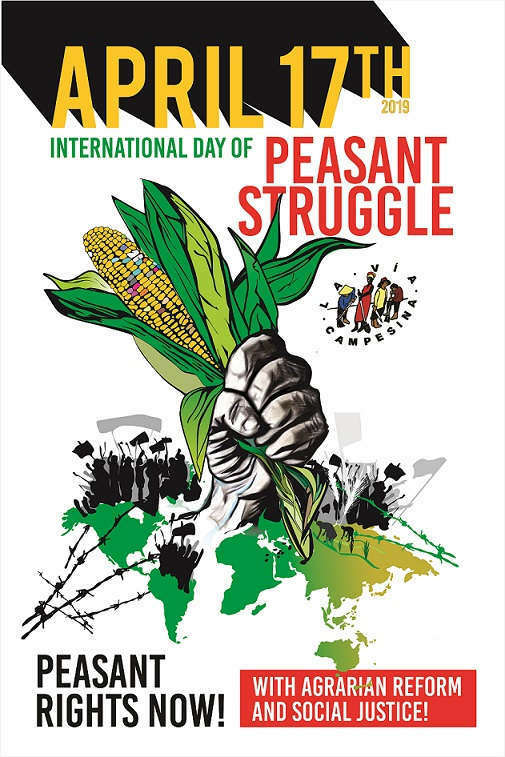 Peasants are key to food security, the fight against climate change and the conservation of biodiversity security. Yet their rights are systemically violated and they are subject to multiple discrimination. An international instrument can contribute to better protecting them and improving livelihoods in rural areas. 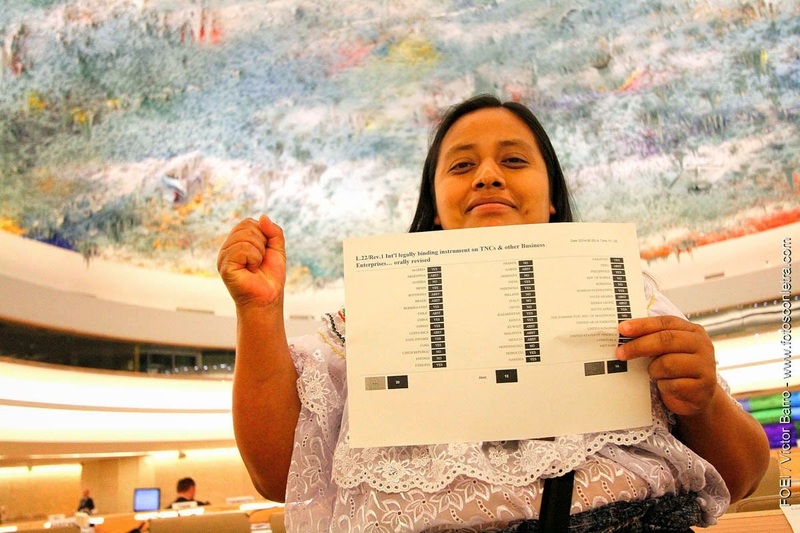 Support our campaign at the United Nations with La Vía Campesina ! Multinationals with great economic and political power violate human rights, very often, with almost total impunity. These entities escape legal action. This publication demonstrates the necessity and urgency of having a binding international instrument to sanction those multinationals responsible. CETIM's publication also highlights how important it is to enable the victims to obtain compensation. Through cultural rights, it is not only the issue of cultural diversity and participation to cultural life that is addressed, but also access to scientific progress and education, the protection of intellectual property and academic liberty.